To some of you, this comes as a surprise. To some of you, it does not. The latter group will say: "Just look at his results, of course he's retiring." The latter group is right to not be surprised, but they are wrong about why. When I was thirteen, I had a dream of going to Korea, of playing Starcraft on TV. I worked hard to make it a reality, and by the time I was seventeen, I was a member of Dream.T, one of the best Korean clans on battle.net. Getting there was a little bit like reaching the top of a mountain, looking out, only to realize that this was but a rocky protrusion, the actual mountain still looming ahead; Korea was a long way away. Shortly before my eighteenth birthday, I was introduced to poker. During this time, I had already been on a month break from Starcraft to play Go when an old BW friend of mine (old school SC guys might know him as GroT, poker players as Jelle) posted in a thread on TL asking to learn the basics of Go. We hadn't talked in a while, but I offered to teach him the very basics of Go, and in return he would show me poker. Here was a game where my every increase in skill met was met with a clear indicator of progress, where (unlike SC in the west), there were more stages to your development than "not in Korea playing on TV" and "in Korea playing on TV." For those of you who weren't around in 2006, if you were playing SC seriously but not in Korea, you did not get much out of it. 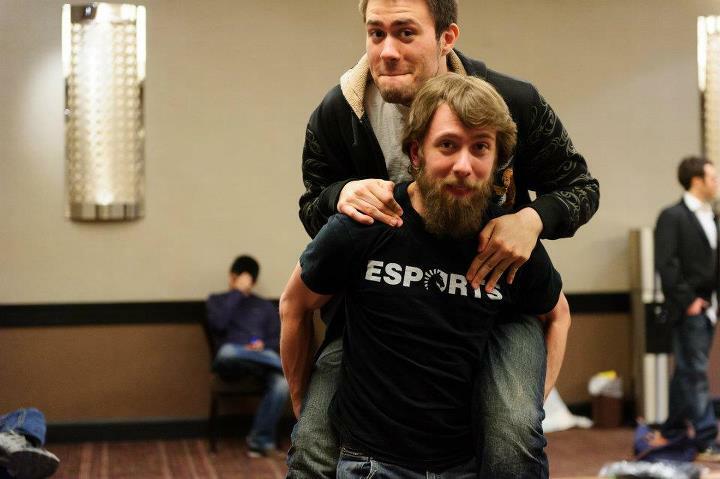 There were no big sponsorships, no MLGs. There was WCG once a year (and not even that if you lived in certain countries like Sweden), a relatively small DreamHack, and not much else. So, I gave up on my dream and chased a new one, never expecting to return. 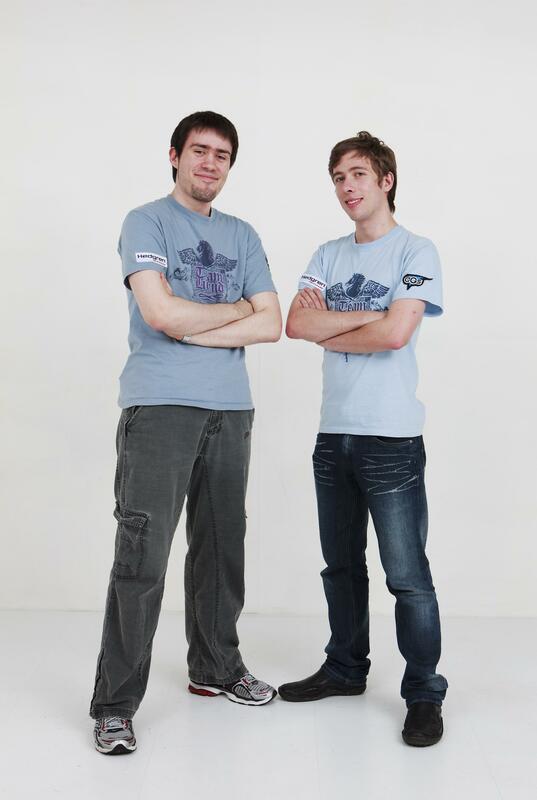 When SC2 was announced, something stirred inside of me and old dreams resurfaced. Poker is a hard game, and by nature, I tend to obsess over my interests, which can often lead to some balance issues in life. At this point, I was playing mid-high stakes, and as a nineteen-year-old not used to dealing with being up or down thousands of dollars on a daily basis, I found it all very stressful. Playing SC2 and chasing an old dream was very tempting. When the opportunity to go to Korea came along, I took it, though not completely without hesitation. Even at this point, I think a part of me knew... But it was a once in a lifetime opportunity, it was exactly what I had dreamt of doing. I think I have told the story of how, shortly before winning MLG Dallas 2010, I told Victor he should not bother sending me, that I was not good enough. What I don't think anyone got from this was that I was already at that point questioning whether I should be playing. Of course, most people know what happened after that. I went back to Korea, qualified for GSL, and poured all that I had into it. In an interview during GSL, InCa was asked about me, about how much I practiced. He replied, "At least fifty games a day." Later on, I asked him why he had said that, feeling like the number was overstated. He was perplexed: "You ask for games from the moment you wake up until everyone else is asleep. You play at least fifty games a day." My efforts carried me to round of four, and when I eventually fell to MC, I was both proud and dejected. The next GSL came around, and once again, I practiced hard. Not as hard as before, but harder than most. By the time the semis came around, I was pretty much spent. The minute after my fourth game versus MarineKing, I swallowed and realized my throat hurt like hell. The next day, I was sick with a fever. Despite this, life was easy: I had made the semis twice in a row, and by the time I advanced 2-0 through my GSL group for the third time straight, I felt like I was walking on water. Things were just a little bit too easy. When I was fourteen, I had a dream. An actual dream. I was playing NaDa PvT on Lost Temple on the WGTour I think, back when all the Korean pros suddenly decided to play on it. He was at six, and I remember flanking his famous tornado push with a seemingly endless wave of zealots. I woke up happy until I realized it had just been a dream. Eight years later, there I was, practicing with this guy I'd once dreamed of beating. Practicing, winning games, losing games. Once before one of his GSL matches, NaDa called me just to ask for advice on what maps to remove against his zerg opponent. "How cool is that?" the thirteen-year-old inside me said. "What now?" I hear the twenty-something reply. Over a year ago, around May 2011, when I dropped out of Code S, I told Victor I was thinking of retiring. I don't remember how long I considered it for, but the thoughts were real and not easily dismissed. In the end, I decided to attend DreamHack and HomeStory, and despite not having the best of results, it was a break in the monotony and, coupled with a good contract offer, I signed on for another year. The new contract, along with having had a lot of fun at the events I attended during the summer (HSC and MLG above all), brought some new motivation, and I could feel myself improving again. This lasted a few months, at the high point of which I found myself within one game of qualifying for Code A again. I was in the finals of the qualifiers vs. IMMinSeok. The last map was Daybreak. NesTea was watching behind him. Later on, I was told that halfway through the game, NesTea had sadly exclaimed that the game was over, that MinSeok could not come back. Unfortunately for me, MinSeok fought back through some inspired play, and my control failed me in two crucial battles. At the time, I did not feel too dejected by this; it felt like proof that I was actually improving again. Yet looking back, I see that was the last time the advancement of my skill level was ahead of the pace of the general population. The winter was not good for me. I was unhappy with my game, my life, with SC2 -- and I think it was very clear to anyone who watched my stream, or just my games. Something was wrong. Tilting was common, and honestly I behaved pretty poorly. More and more I found myself practicing just so that I could be sent to events, to meet the friends I could so rarely meet. I'd had a dream...and I had given it up. What I had left was a child's dream half-remembered, and in the back of my mind, I'd always been aware of how tenuous my drive was. For motivation, I was almost completely reliant on external events to drive me: going to Korea, winning MLG, qualifying for GSL, going far... Even during the beta, I had to force myself to play. I was running on the fumes of a dream that was no longer mine. InControl once said that if you find yourself needing a reason to play other than the enjoyment of the game, then it is time you stop playing. I don't always agree with this -- there are many people for whom it's not true. I remember a NaDa interview from SC1, during which he talked about how he no longer enjoyed the game, and yet, you'd still see him post good results just a few months later. But for me, it was true. I was running on empty, and while I was making pretty good money, I was no NaDa. The day after MLG Columbus 2012, I arrived in Vegas... and I realized I was done. 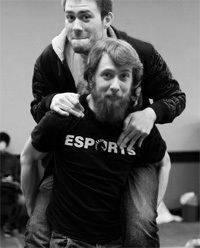 IPL4 would be my last hurrah. I knew it was not a decision to be made lightly or at once, but I brought up the possibility with Victor. I would say that IPL was the last time I played anywhere near good, and I made it unexpectedly far (yet not far enough to be worthy of note). 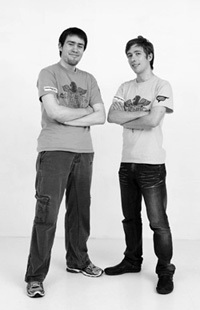 I've often wondered about the drive of the guys who switched from one game to another, such as BoxeR, NaDa, Julyzerg, Moon, Grubby, ForGG (but also lesser known examples such as Junwi, Dayfly, Garimto, Insomnia, Draco). Where do you find it within yourself to dream again? NaDa was one of the most talented players to ever touch SC1, and one of the hardest workers. In SC2, I believe he subsisted almost entirely on a diet of talent and past hard work. 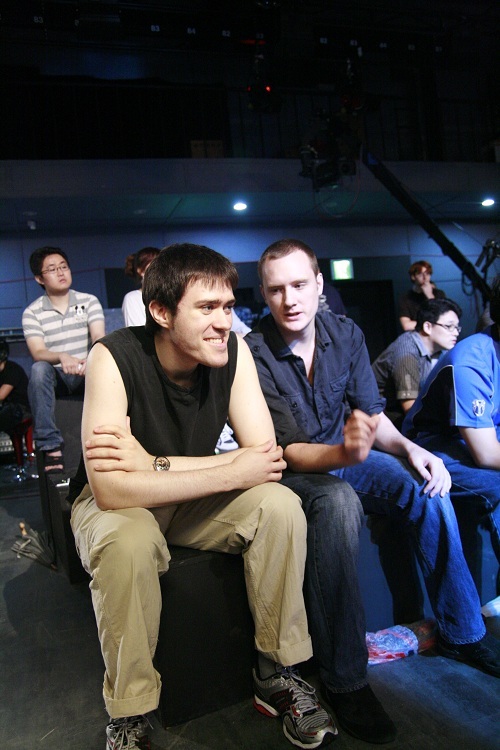 He would have periods of inspiration, of rigorous practice, but I don't think he ever had the same drive that he had for SC1 (for which, every SC2 player in the world should count themselves lucky). I am no NaDa, no BoxeR, no Julyzerg, Moon or Grubby. But I did work hard on my dream for many years. Exhausted a large amount of its reserve, without much to show for it (for SC1, at least. For SC2 I would not say I am content, but I would also hesitate to call it 'nothing'). I just wonder if it is possible to approach a game ever again, especially one so similar, with the same childlike enthusiasm and passion. All of the above I'm sure sounds very dark, and I want to take a moment to make it very clear that I do not regret my choice to become a progamer for a second. There are moments within that career that I do regret, things I could have done much better, but what I will never regret is having embarked on this journey. When I was a kid, my dream was to be a progamer. I didn't want to be a football player, I didn't want to be an astronaut or what have you Sure, when people asked (before I knew what progaming was), I would say I wanted to be a sea-rescue helicopter pilot (on account of some documentary I had seen), or a long distance runner because of how awesome I thought Moses Kiptanoi was. But my first true feeling of "this is what I want to do," was Starcraft. In Korea. And I got to do it! The people I've met -- friends, acquaintances, fans -- and the life experience I've acquired in the meantime have helped me grow tremendously and I firmly believe I leave progaming a much better person than I was when I entered it. Many people will no doubt wonder where I am going, and what I am going to do. The answer is: nowhere, and poker. We got the apartment well after my decision to quit was mostly decided, and I am tremendously excited at the prospect of re-learning poker and practicing BJJ. You might ask yourself why I would return to something that I already left, how it's going to be different. Well, truthfully I do not know that it will be, but I do know I've done a lot of growing up in the past two years, and that I appreciate the freedom poker brings, to an extent that I could not at the time. I believe it is the best choice for me now, and in the long term, who knows. To everyone who ever supported me, thank you, truly. I am not really a spotlight guy, but every moment that I was in it, you made me feel like home. I often wonder how it is that I still have people telling me they believe in me, or that they hope I can make it into Code A again next season, or what tournament they will see me in next... For a while now, it's pained me to not be able to answer those questions/well wishes honestly, and so this post is, in a way, a big relief. My parents for supporting my ambitions at all times, be it Starcraft or Poker. Victor for his support throughout these years, his invaluable insights during my first GSL run (he seriously watched and analyzed every practice game I played), and for being a good friend. Gon and TheWind, my two coaches in oGs, for always taking care of us, and for putting up with my horrible temper. To everyone on the TL staff for making life when traveling a lot easier than it has any right to be, and taking care of all the things your average gamer is too uncaring to take care of. It's been emotional (cookie for anyone who catches the reference). For some time I was contemplating on what I was going to write here. Jinro retiring is something that naturally seems like a sad thing, but I came to realize this was not the case for me. To me, retirement isn't something that's intrinsically good or bad. At times, it can be the start of something better. As an avid sports fan, it has always pained me to see old greats continue for too long after their prime has passed. Though you can sense that there's a variety of reasons behind it, the end result usually isn't very glamorous. I am really proud that Jinro was able to make this decision, even happy for him. During the past year, Jinro hasn't been able to find what he was looking for. By winning MLG Dallas and reaching back to back GSL semi-finals, he set a high standard for himself to be the best non-Korean in the world. After playing at that level once, it was tough for Jinro when the results just stopped coming, even though he was putting in the same kind of hours that allowed him to reach his peak. Everyone in our team, and even some of Jonathan's fans could feel that he wasn't happy playing the game anymore. There is something beautiful about Jonathan retiring on Liquid. We have been in this together for so long that when it had to end, there was no more fitting way than for him retire than as a part of this team. He is stepping down as a member of the professional squad, but will remain on Liquid as a retired member like others before him. By retiring Jonathan is moving on to a new phase in his life. 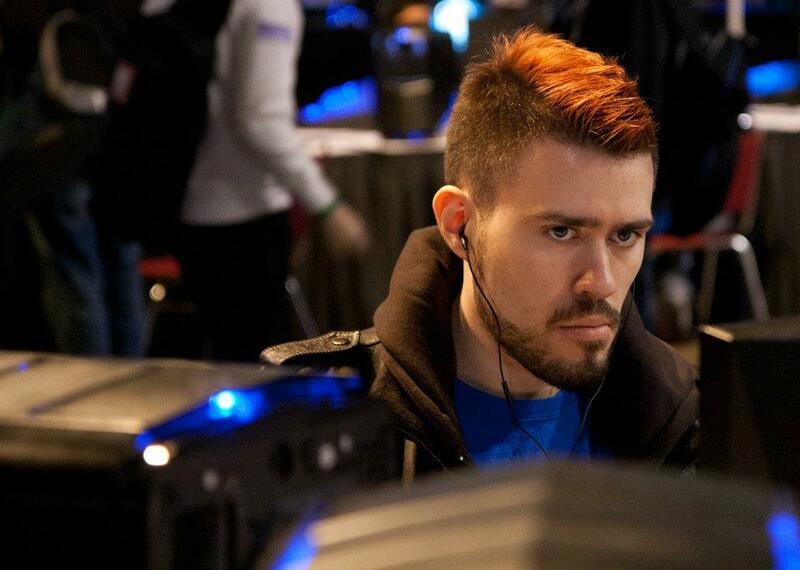 He got everything he could out of pro-gaming, and in return he gave pro-gaming everything he had, leaving an amazing legacy behind. Starting with nothing but a dream, he succeeded at the highest level in the world and became the best among his peers. He played with style, practiced with passion, and was, and will always be, a true friend. good luck in the future, man! Like the great Colonel Sanders once said, "I'm to drunk, to taste this chicken." I think I'm gonna cry... Good bye and good luck!! Goodbye, good luck in the future !!! Jinro you are the best. Good luck in the future and thanks for all that you have given us. 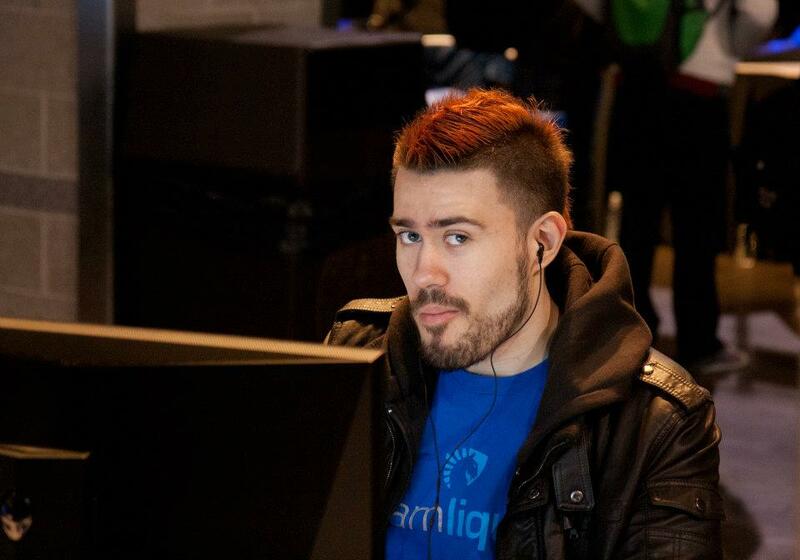 Hope we will still se more of you on teamliquid. Good luck in your future endeavors though Jinro! Will miss you! 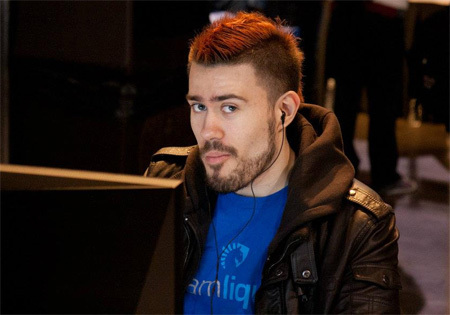 Thanks for all the things you did for the community and Liquid ! There is a reason why i keep score, winning is everything, losing isn't. Team Liquid"I was wondering why people who﻿ that would never dream of laughing at a blind or a crippled man would laugh at a moron."